Fall weather can always make it difficult to get dressed in the morning. You leave your house which a jacket, and scarf because it’s in the 40’s and then by 3pm you’re peeling off the layers, sweating because it’s in the 70’s. I personally find it kind of annoying to have to strip in the middle of the day. I think I found a pretty good solution that’s also trendy. 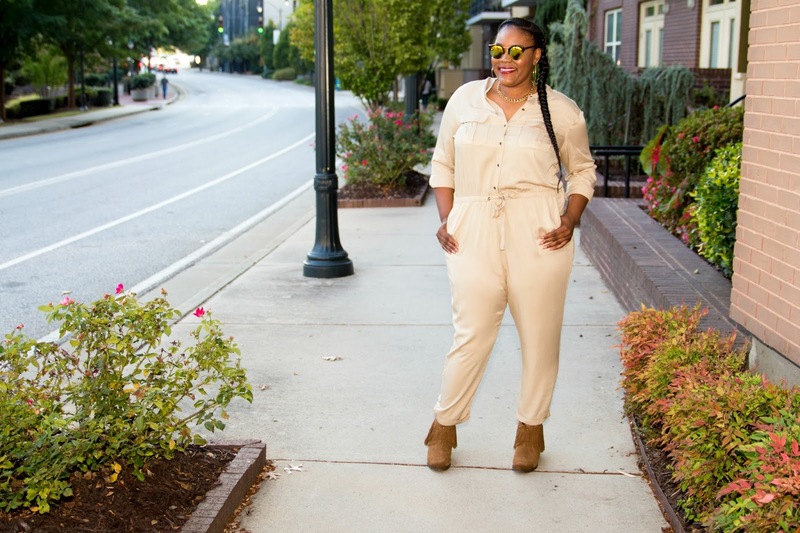 The jumpsuit! 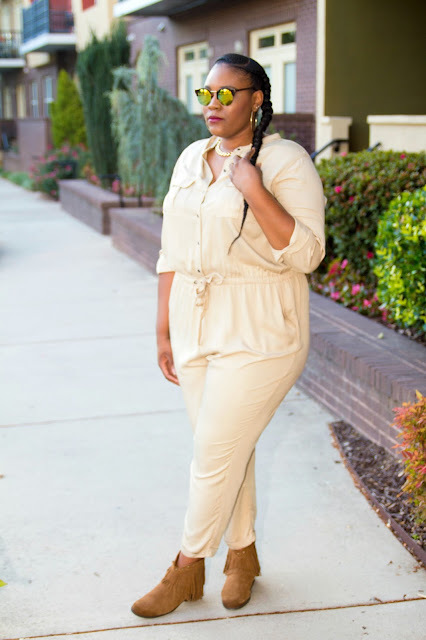 A sleeved jumpsuit! 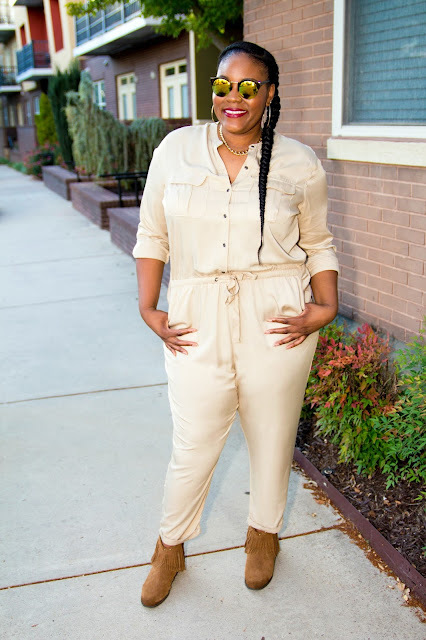 All fall I have been shopping my closet, trying to save money for the holidays and I came across this jumpsuit which just like my last outfit post pieces, I had never pulled the tags off of. Coincidentally it seemed to be the perfect piece for those early fall days. It’s heavy enough with sleeves to keep me warm during those cold fall mornings, granted a scarf may still be needed, but then all I have to remove is the scarf (depending on the weight of it) to be cool during those heated afternoons. The perfect solution. 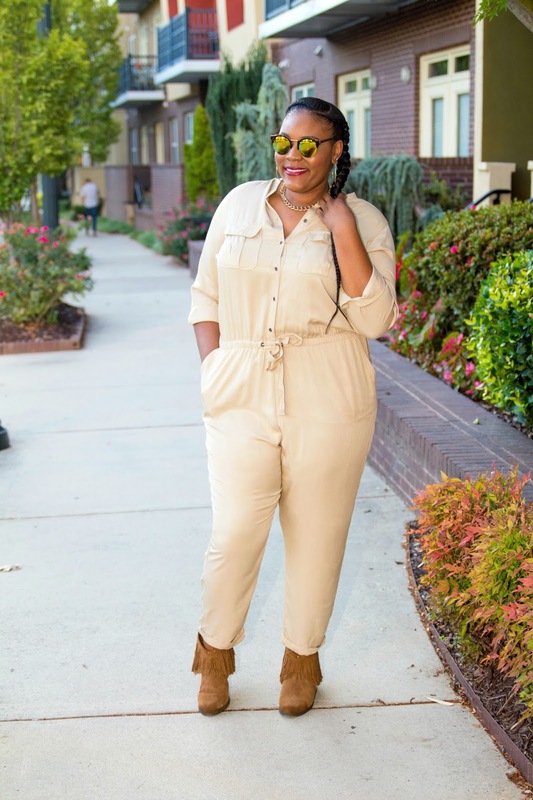 I picked up this jumpsuit from the clearance rack at Old Navy last fall but with a visit just last week I found another one in an army green color. 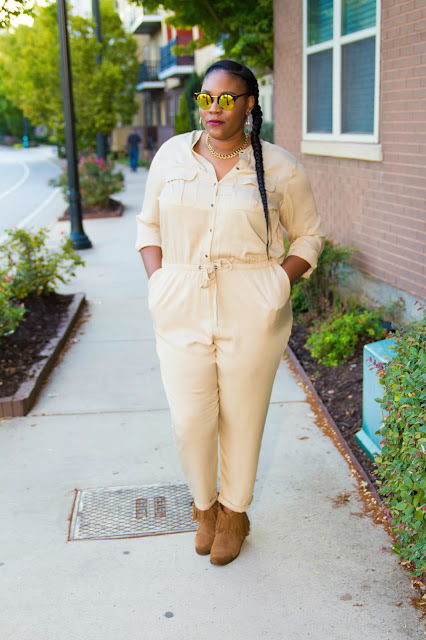 Pair with pair of fringe booties this jumpsuit took my right through my work day and got me through one of those cold/hot fall days. What saves you from those fall days?